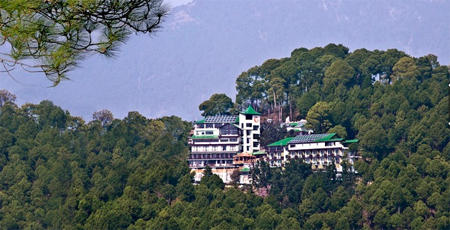 Fortune Park Moksha is a splendid property located in the heart of scenic Strawberry Hills. 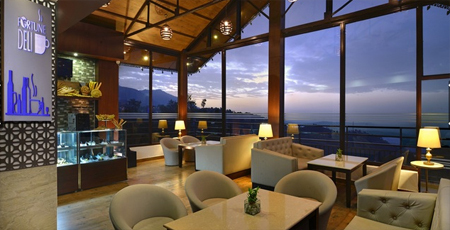 It is an ideal destination for both business and leisure travelers to stay in with complete peace. 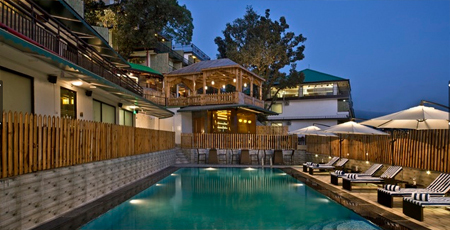 The hotel offers an easy access to all the major tourist attractions like Dal Lake and Dalai Lama Temple. In free time take a refreshing dip into on-site swimming pool and patio combined to soaking up the sun at the same time. For complete rejuvenation guests can head to the spa centre offering steam and sauna facility to give your mind a soothing treatment. Free Wi-Fi is also available within the premises to help you remain in touch with your dear ones. 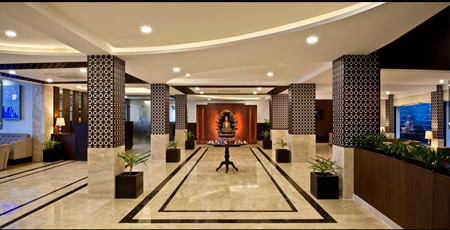 Business travelers can make use of well-appointed business centre to arrange formal meetings. 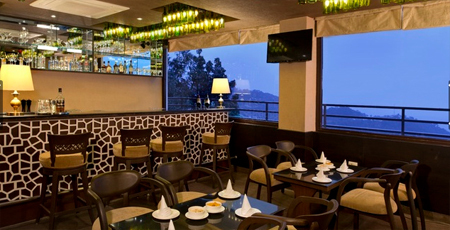 Unwind yourself at on-site restaurant with delicious drinks, cuisine and beverages. Array of culinary delight in buffet style are served at the Orchid restaurant with sitting capacity of 64 people. Fortune Deli is other option serving variety of mouth-watering delicacies and hot crispy snacks. Well-stocked bar is also here to sit and relax while savoring different flavors of exotic drinks. Guests can set themselves at peace in the well-maintained lavish rooms after an exciting day of discovery and travelling. 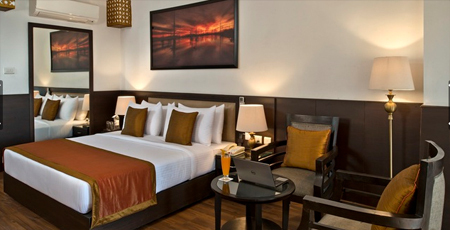 All rooms feature wooden flooring, large floor to ceiling windows and attached balcony. 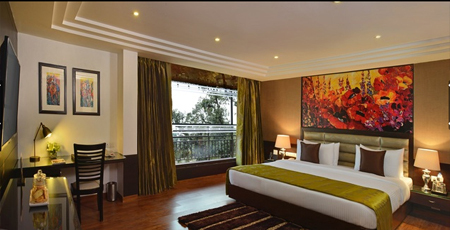 Guests can enjoy a breathtaking view of mountain peaks and the enchanting valleys from the private chambers in each room. The Hotel features 59 well-furnished rooms equipped with modern day amenities like LCD television, electronic safe, tea/coffee maker, direct dial telephone and free Wi-Fi. 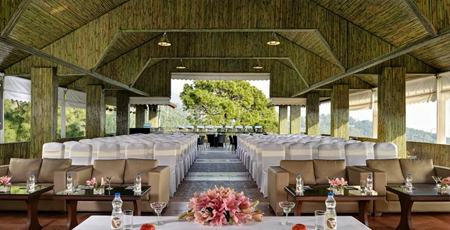 All these rooms offer a breathtaking view of the enchanting surroundings overlooking mountains and the valley. The rooms are spread across the three blocks namely Mountain Block, Riflehorn Block and Christmas Block with its own charisma. En suite bathrooms come with essential toiletries.